"Sidney's Story," appears in the February, 2018 issues of Purpose Magazine, published by MennoMedia, on pages 20 and 21. This piece was previously published in the Tyndale House anthology, Life Savors, in 2008, under the title "The Christmas Card." ALTARWORKS: Faith, Art, Expression, an online Christian literary journal, features three of Sally's poems on their web site: New Tricks, Prayer In Public Schools and Civil Servants. All three can be read online. 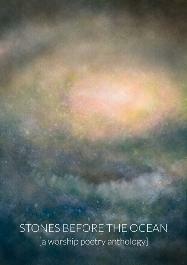 Stones Before the Ocean: A Worship Poetry Anthology published by Hewson Books, features Sally's poem, "Flowers After a Wildfire," on page 79. 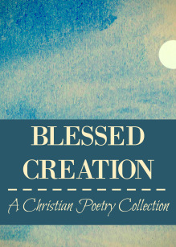 Draw Near’s latest anthology, Blessed Creation: A Christian Poetry Collection, features Sally’s poem, “He Comes! He Comes!” on page 24. Read a free ebook version or order a print copy on their web site. 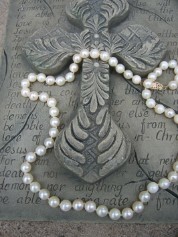 Windhover: A Journal of Christian Literature, published by the University of Mary Hardin Baylor, features three of Sally's poems in their 2013 issue, "Shooting Craps," "The Widow's Mite," and "Prayer in Public Schools," all three of which can be read online in the 2013 journal sample issue. For the Feb/Mar/April issue of Weavings: A Journal of the Christian Spiritual Life, Sally composed a poem titled, "Flowers After a Wildfire" and is honored to see it published on page 10. The theme of this issue is Resilience. 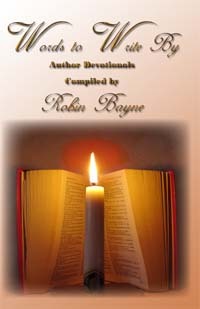 Weavings is published by The Upper Room. Alive Now, an Upper Room publication, features one of my poems, "Civil Servants," on page 35 of their Jan/Feb 2013 issue. 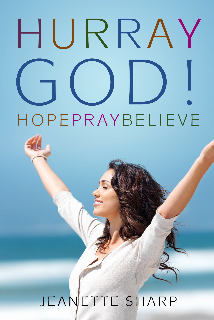 Sally's story, "Faith Under Fire," is featured on page 38 of Jeanette Sharp's anthology, Hurray God! Hope Pray Believe. Sally's sees a new kind of faith in her grandmother as they race down East Texas backroads, trying to outrun an oil field fire. 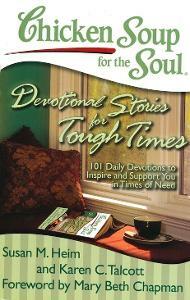 In Chicken Soup for the Soul: Devotional Stories for Tough Times: 101 Daily Devotions to Inspire and Support You in Times of Need, Sally's story, "Resurrection Faith" is featured on page 294 and 295. Sally is the proud First Place winner of The Write Helper's 2010 Burning the Midnight Oil Poetry Contest. 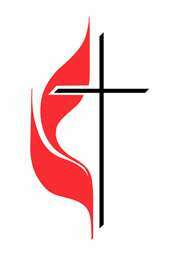 Read her poem, "The Lord Gives and..." by clicking on the logo pictured above. 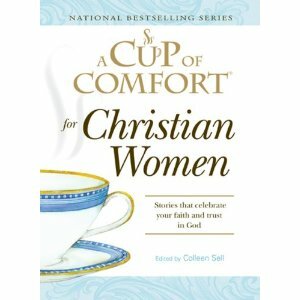 "A Roller Coaster of Faith," the story of how Sally and her husband wound up living in Fredericksburg, Texas, is featured on page 223 of A Cup of Comfort for Christian Women, released in February of 2011. Mennonite quarterly publication, Together, published Sally's story, "The Letter," in their Fall, 2010 issue, along with one of Sally's photographs as a story illustration. Her story will soon appear online in their archives. This sensitive true story's is about Sally's daughter, Laura. The sidebar reads: Tomorrow she would place the letter in her husband's coffin, along with her wedding ring, and leave them there. Indeed: Exploring the Heart of God magazine, a publication of Walk Thru the Bible, published Sally's story "Not to Rationalize: Face to Face with Sin" in their Jan./Feb. 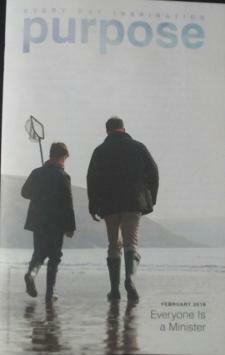 issue of 2009. 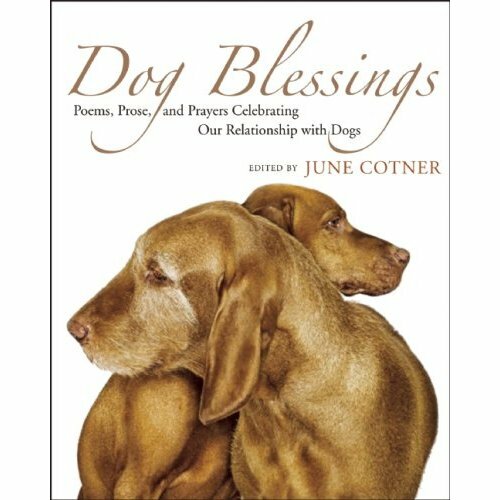 Dog Blessings: Poems, Prose, and Prayers Celebrating Our Relationship with Dogs, published by New World Library in October of 2008, features Sally's poem, "New Tricks," under the chapter heading of "Aging Gracefully." 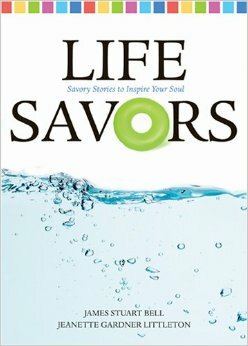 "The Christmas Card" is featured in Life Savors, Tyndale House Publishing's first-ever anthology of inspirational stories, published in April, 2008. Sally's poem, "Homesteading in Paradise" was chosen for the premiere issue of Relief: A Quarterly Christian Expression Journal, published in November, 2006. 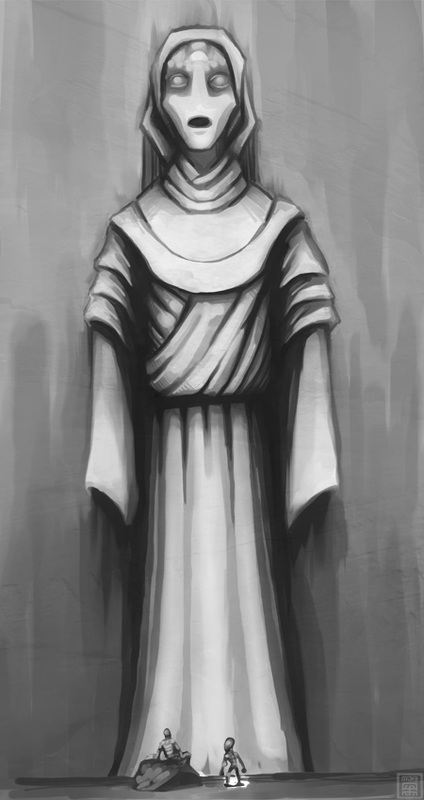 A story of tragedy and grace, "Zitidos," gives voice to the wife of Job, published online in Third Order Magazine: Faith, Fiction, and the Occasional Extraterrestrial in the Winter issue of 2008. 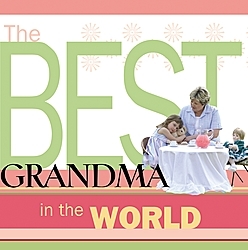 In July, 2007, Howard Books Christian gift book, The Best Grandma in the World featured two of Sally's stories: "The Most Beautifulest of All" and "The Movie Ticket," both inspired by her granddaughter, Sophia. 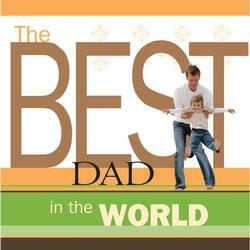 A poem that Sally wrote about her Dad, "Remember Me," is featured in The Best Dad in the World, a gift book published by Howard Books in April of 2008. 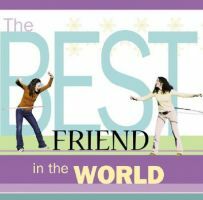 A tribute to her long-standing friendship with Sheila Sattler-Kale, Sally's poem "Best Friends" is featured in Howard Books gift book, The Best Friend in the World, and was published in July of 2007. 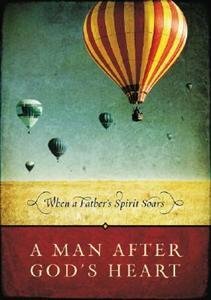 A Man After God's Heart: When a Father's Spirit Soars, was published by Integrity Publishers in May, 2007, and features a story Sally wrote about her dad called "Words." Sally's Christian poem, "New Tricks," was judged to be the First Runner-Up in a poetry contest sponsored by the Baughman United Methodist Church in New Cumberland, PA, and was published in the Inspirit Literary Journal in the Winter issue of 2007. To Have and To Hold: Prayers, Poems and Blessings for Newlyweds, a gift book published by Center Street, in April, 2007, featured two of Sally's poems: "A Newlywed's Prayer" and "A Newlywed's Toast." 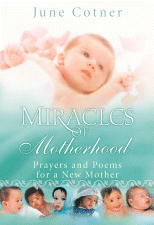 Miracles of Motherhood: Prayers and Poems for a New Mother, edited by June Cotner and published by Center Street in March of 2007, featured Sally's poem "Labor's Pain." 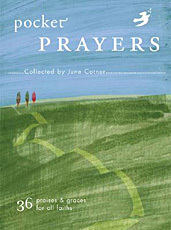 Packaged as a deck of cards, Pocket Prayers: 36 Praises and Graces for All Faiths was published by Chronicle Books in October, 2006, and featured two of Sally's Christian poems, "Temporary Shelter" and "Blessings of the Day." Purpose: Stories of Faith and Promise, an adult Sunday school take-home paper published by Mennonite Publishing, featured Sally's poem "The Bride" in their April 10, 2005 issue. 2006 Everyday Blessings: A Year of Inspiration, Comfort and Gratitude was edited by June Cotner and published by Sourcebooks in August of 2005 featuring Sally's poem, "Temporary Shelter."